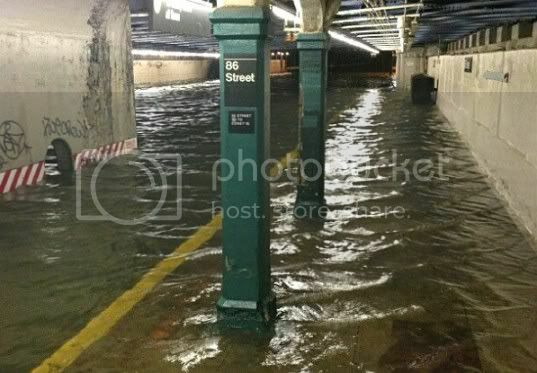 #FinanceYourDance: What Hurricane Sandy Means For Dancers and Dance Teachers - The Let's Talk Dance Blog - Empowering Dancers To Create A Better Quality of Life! 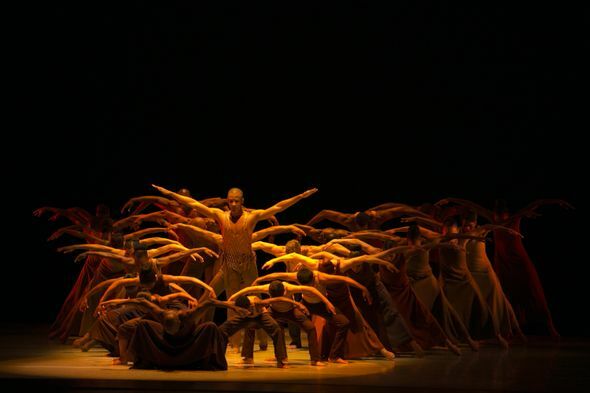 About a week ago I published a post on this blog, as part of our “Finance Your Dance” Series entitled, “How Dancers Can Overcome Starving Artist Syndrome“. 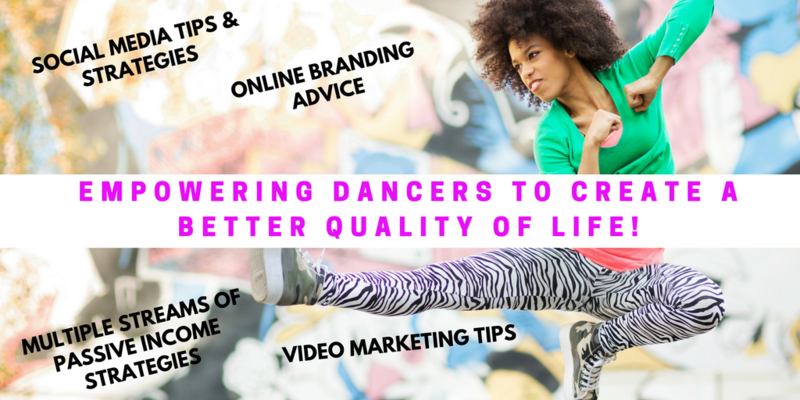 In it I talk about the reasons why so many professional dancers, choreographers, and dance teachers are “just over broke”, and what we need to do to create more financial stability in our lives. If you read this blog regularly, you already know that I am extremely passionate on this topic, and I write about it constantly, and have been doing so for the past three years. I believe very strongly that part of my life’s purpose is to be a messenger to the dance world, and spread the message that, you don’t have to be broke, and struggle financially for your entire life. You can be financially stable, prosperous, and wealthy, if you change your mindset, and then change your actions to create the life that you’ve always dreamed of. As I write this blog post, just a day or so after Hurricane Sandy, which was devastating to many of us in the tri-state area, and then some, one thing immediately comes to mind. I have received countless e-mails from local NYC dance studios about closings, I’ve read about lots of dance schools closing on Facebook, and even the place where I teach is closed indefinitely, because of a power outage. This breaks my heart, but not for the reason that you may think. This breaks my heart because, many dancers, and dance teachers are losing money this week. Some of you will now be short this month, and unable to pay your rent. Others may not be able to pay your utilities, or have enough money for groceries in the coming weeks, because of the money you lost due to closings. The list goes on and on. This is why I constantly preach that you have to take control of your own financial life, and as my mentor, Marshawn Evans says, “create your own economy”. You have to build your own brand, and create ways for you to earn money, that don’t necessarily involve going somewhere and clocking in, in order to get paid. You need to set yourself up in a way, so that you’re making money, even if you can’t leave the house, or physically move. This is called, passive, residual income. 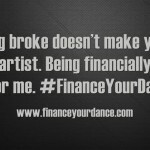 As dance artists especially, we can’t rely on our gigs or jobs to create the financial stability and wealth that we so desire. They’re not created to do that. It’s up to you to get fed up with losing money, fed up with the lack of consistency of your income, and decide that enough is enough. It’s time for a change. If the idea of doing something new, or something different than what you’ve been doing makes you feel perplexed or scared, that’s a good thing. If you’re scared, that means there’s something significant that you’re dreaming of doing, that will positively impact your life, but it’s just unfamiliar territory. Now is the time to explore what that is, and create it. 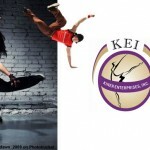 If you’re someone who already considers yourself a “Dancerpreneur”, and has an established brand, it’s time to take your brand to the next level. 1. How many streams of income do I have that don’t require me to physically be in a particular location, for a certain number of hours, in order to get paid? 2. How many streams of income do I have outside of my actual jobs/gigs? 3. Do I currently have an aspect of my brand set up in a way that I am able to earn money, even when I am not physically working? If your answers to most of these questions is zero or none, than this blog post is for you. It’s time to start thinking outside the box. You are chock full of awesome talents, skills, and abilities. How can you take what you do at your jobs and gigs on a daily basis, and market them in a way that allows you to reach more people, and earn money online? – Do you like having debt? – Do you like losing money when you take time to go on vacation? – Do you like not being able to do a lot of the things that you would do, if only you had more money? So many artists look at money as a bad thing, and say things like, “Oh, I don’t want to charge too much”, or “It’s not about the money, it’s about the art, and doing what I love”. It takes money for you to train and take dance classes. It takes money for you to rent rehearsal space. 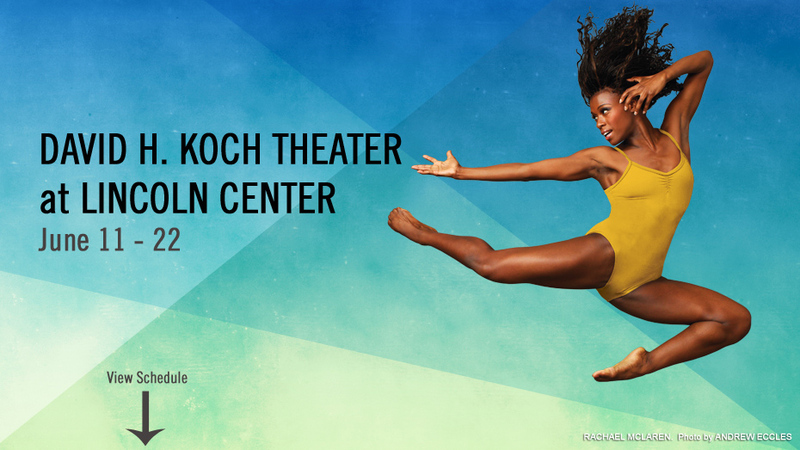 It takes money for you to create and showcase your work in a theater. It takes money for dance studios to operate. It takes money for you to eat, have a place to live, and a comfortable living situation. Most importantly, when you have more money, you have access to more resources, and can contribute to the dance community in an even greater way. 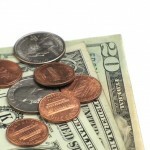 As dance artists, we have to get over this disconnected relationship, and broken-down mindset that we have towards money. Enough is enough. That mindset has gotten a lot of us to where we are today: “Starving Artists”. It’s time for a change, and Hurricane Sandy is just one, of many examples of how unsteady and unstable life, jobs, and gigs can be. Be proactive in your life, and start creating multiple streams of income for your personal brand or business, that will allow you to build wealth, and not just collect a paycheck signed by someone else. What do you think about all of this? Have you been negatively affected by Hurricane Sandy? Do you think that dancers should change their mindset? Write your thoughts in the comments below. Please share this on Facebook, Twitter, Linkedin, and Google+ if you found it interesting, and think that others will too.